MIAMI - Jan. 14, 2019 - PRLog -- Owner and President of Gossett Marketing, a leading promotional marketing firm, Danette Gossett, talks about several ways to create and cultivate ongoing business relationships that keep her clients on their clients' and prospects' radar. 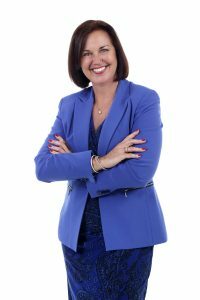 MIAMI, FL– January 14, 2019 – Danette Gossett, Founder of Gossett Marketing Communications, Inc., Co-Founder of Promotions Resource, LLC, and co-author of the best-selling book, Transform, recently posted a new blog on her website entitled, "Out Of Sight And Out Of Mind Doesn't Cut It In The Business World," in which Ms. Gossett shares ideas that have been successful for her clients. Gossett asks, "What could be worse than working to establish a relationship with someone, then simply falling off the radar?" She adds, "Relationships must be nurtured and cultivated. That's right: Out of sight and out of mind doesn't cut it in the business world." She emphasizes, "You must make your presence known and continue developing relationships." "So," poses Gossett, "exactly how do you do that? How do you develop and maintain an ongoing business relationship?" She offers her expertise, "The best way I know how to accomplish this is through meaningful, thoughtful appropriately delivered promotional marketing communications. In other words, developing creative ways of staying in touch with your customers and prospects." "You don't, however, want to overwhelm with too many contacts," says Gossett. She adds, "Some of the most effective methods of staying in touch include email marketing. Some businesses overdo their email communications. I have found that one monthly newsletter is welcome, particularly if you are delivering useful and/or interesting information."